The big picture: Slack had a solid 2018, capped off by the acquisition of rival Atlassian and the discontinuing of its communication apps, HipChat and Stride. 2019 could be even better, especially if the planned IPO goes off without a hitch. 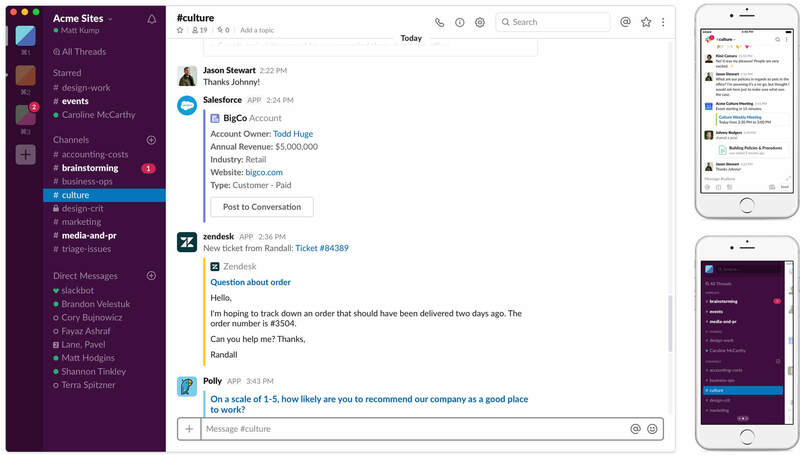 Slack, makers of the workplace collaboration tool by the same name, announced on Tuesday that it now has more than 10 million daily active users around the globe and is used by 65 Fortune 100 companies. More than half of its daily active users reside outside of the US, across more than 150 countries, we're told. News of the milestone arrives as Slack is reportedly preparing to go public sometime this year at a valuation of over $10 billion. Slack has enjoyed steady growth since January 2015, adding millions of additional daily active users each successive year. With the pending shutdown of competing services from Atlassian and the sale of intellectual property to Slack, explosive growth will likely continue over the coming months. Slack’s growth has been impressive but according to a recent survey IT network Spiceworks, it’s not the most popular collaborative chat app on the market. That distinction apparently belongs to Skype for Business which was used by 44 percent of organizations polled. Microsoft Teams captured 21 percent of the market, the report found, followed by Slack in third place with a 15 percent stake in the market.